India, with a young skilled work force, high growth rate and deregulation being undertaken by the government, is set to become an important destination for foreign investment, a former top US trade official has said. "With the young skilled work force, its growth rate that is going to surpass China for the coming years as well as the market opening and deregulation undertaken by Prime Minister Narendra Modi will make this a really important destination for foreign investment," Wendy Cutler, who was the Acting Deputy US Trade Representative under Obama administration told a Washington audience yesterday. Speaking at a panel discussion on the occasion of launch of Foreign Direct Investment (FDI) Confidence Index, Cutler said, India under Modi has emerged as among the favourite destinations for foreign investors. For the second consecutive year, India appears in top 10 of the index. This year, it was placed at eighth spot as against ninth last year. China has slipped to the third spot. Germany has now become the second top destination in the FDI Confidence Index after the US, which takes the fifth spot for the fifth year in a row. "Five of the top 10 countries are from Asia. There is a lot of optimism about investment opportunities in Asia, not only among Asian but also global investors as well. Clearly China and India seems to be the cause of this lot of optimism. India moved eighth on the index," she said. Cutler said the optimism about investment in China "does not seem to be in line from what we are hearing" from not only the US business community but also the European business community as well. In her previous stint in the United States Trade Representative, she was responsible for the Trans-Pacific Partnership agreement (TPP), US China trade relations and US India Trade Policy Forum. "The investment climate is getting worse in China. Companies are facing a lot of restrictions in China, whether it be licensing or approval process or favourable treatment of domestic competitors or requirements to share technology. We are hearing from our companies that their optimism is declining," Cutler said. Noting that the Chinese FDI in the US and vice versa should be watched closely, she said there is a growing concern that while the US and foreign companies are facing restrictions in China, there is a feeling that Chinese companies face few restrictions here in the US. 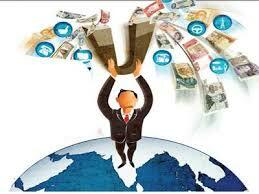 "India on the other hand is moving towards becoming a favourite FDI destination," she said. "When you loom at India, it is moving from a close market to an open market. The reforms that are being undertaken are perhaps not as ambitious as one would hope for. But under Prime Minister Modi, India is really under track towards opening," she said. Contrasting India, a little bit with China, Cutler said that China was really open to foreign direct investment. "But we are seeing that trend going in a different direction," Cutler said. "The other thing that makes me think very favourably about India is that it does not face the same demographic challenges that many Asian countries face. India with most of its population under 40 offers a very attractive destination, coupled with the high skilled nature of the work force," she said. However, she said India is "one of the difficult countries" to negotiate. "So while all these developments are positive, they have a way to go here, but they are moving in the right direction," Cutler said. Global Business Policy Council chairman Paul Laudicina said that India's youth population gives India wage price advantage over China. In China, average manufacturing wages have tripled between 2006 and 2015. "This is part of the reason that coupled with a robust growth, a huge internal market, Modi government's attempt to promote investment, the intention to abolish the foreign investment promotion board, access to the retail sector is being made more accessible. All of this makes India a robust environment," he said.